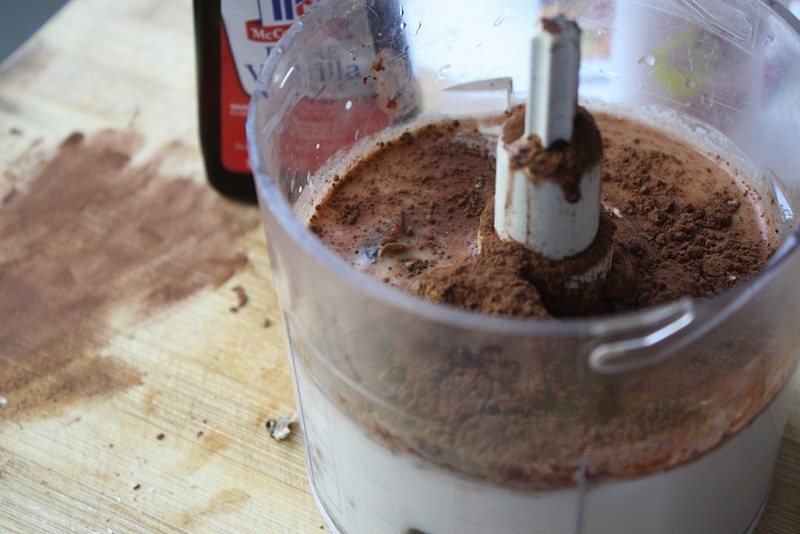 This smoothie blew me away. Its base is almond milk and the only remotely “heavy” thing in it are 4-5 dates. 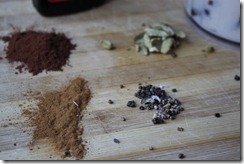 The rest is comprised of spices and cocoa powder. 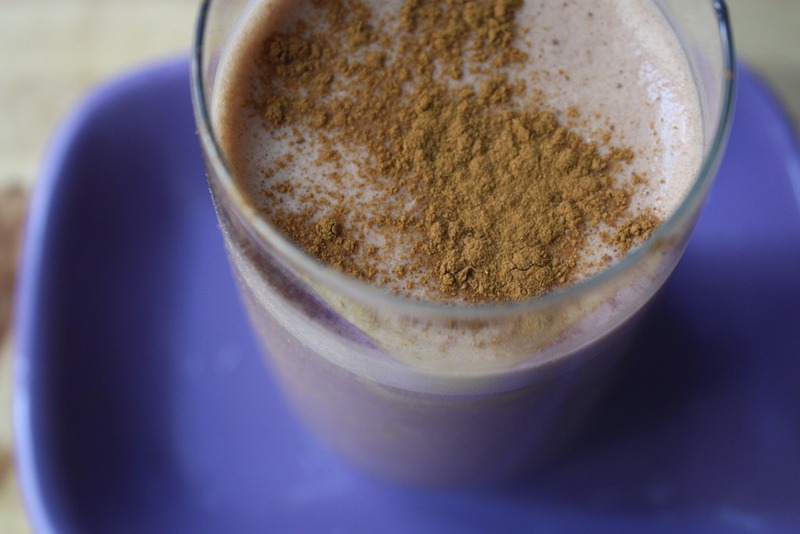 One thing I never liked about raw food circles is their obsession with crazy “super” smoothie concoctions – hemp powders, raw protein powders, cashews, spirulina, etc etc etc. 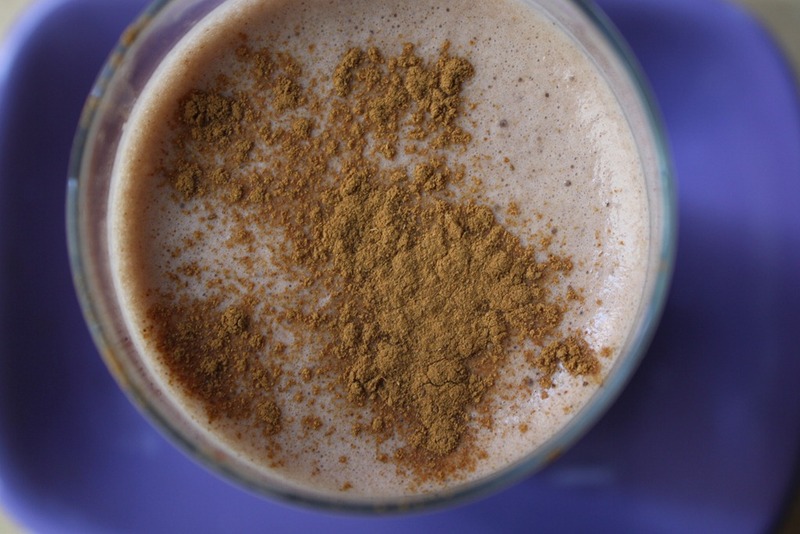 The bottom line is that if the result ends up too dense, your body won’t even be able to absorb the inherent nutritional qualities of the beverage. Keep it simple and you won’t have to worry about that happening. 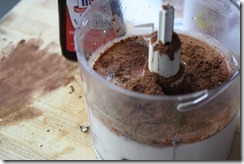 And don’t be fooled by the cocoa powder. 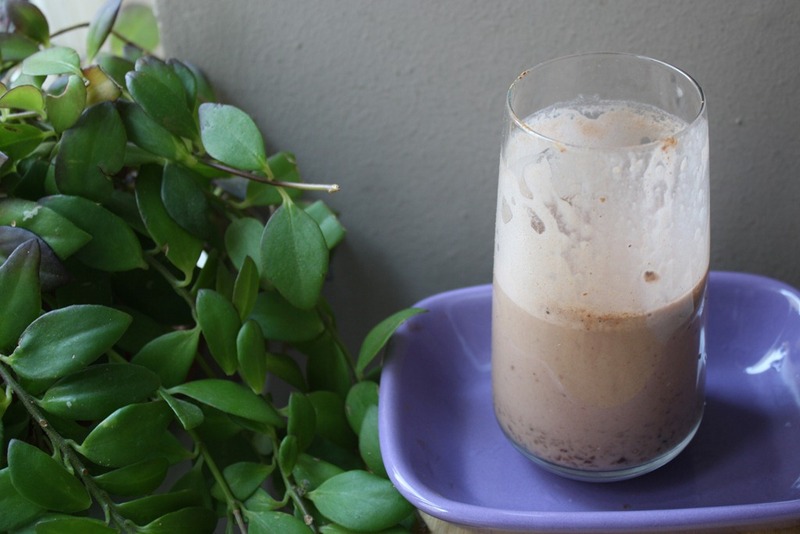 While there are 2 teaspoons of it in this smoothie, the finished treat doesn’t have a chocolate taste – the powder simply adds some depth, complementing the caramel flavor brought on by the other ingredients. 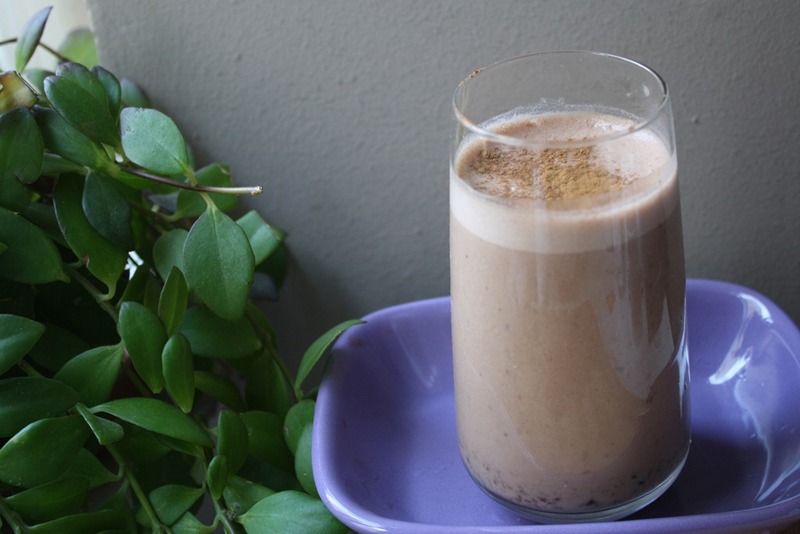 The secret ingredient is ground cardamom, which adds a lot of character and essentially makes this smoothie what it is! 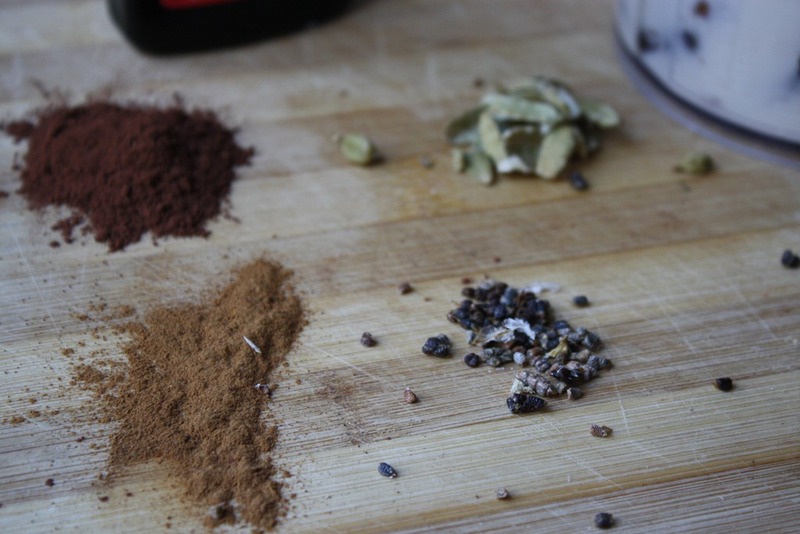 Cardamom: improved digestion and relieves stomach cramps, cleanses the blood, improves blood circulation to the lungs, helps relieve asthma and bronchitis symptoms, enhances appetite, treats sore throats, treats mouth ulcers, treats nausea, and can be used to treat urinary tract disorders. 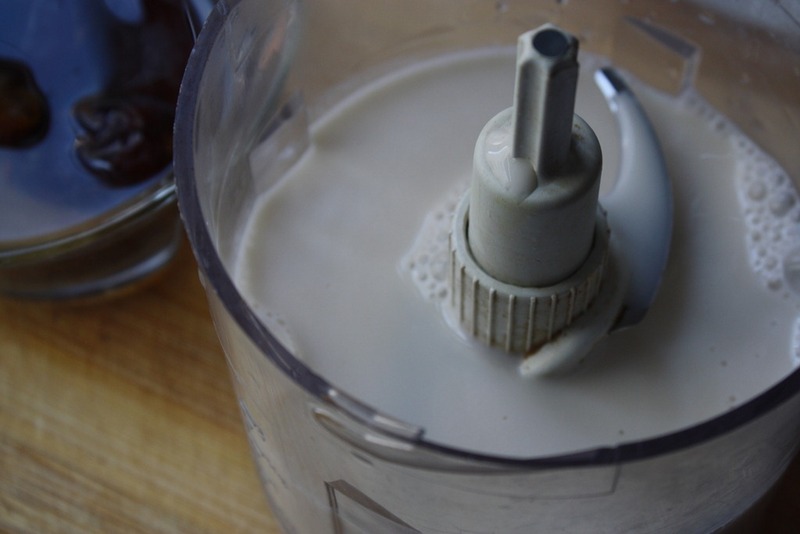 Soak the pitted dates in lukewarm water at least one hour before you plan to have the smoothie. Add all the ingredients to a food processor or blender. This could go down in one. Easy. 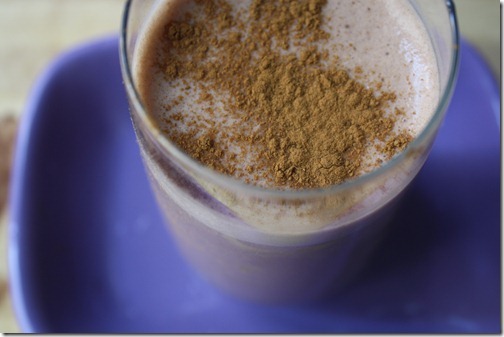 This entry was tagged almond milk, beverage, chai, cocoa powder, dates, drink, raw, smoothie, vanilla, vegan, vegetarian. Bookmark the permalink. I’ve never liked dates, but I’ve just discovered how good they are pureed in cookies, smoothies, granola bars, etc. 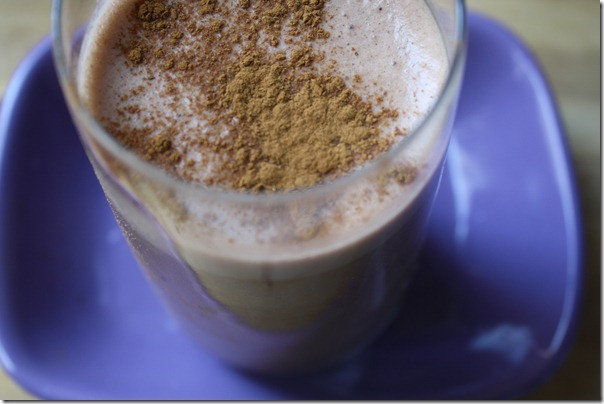 I love chai, so I’m going to have to try this! I love this! What’s there not to love. 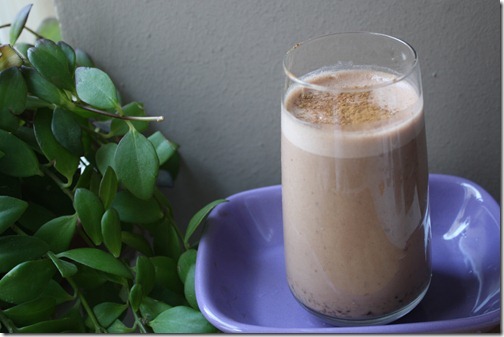 Dates, almond milk- Healthy and delicious! 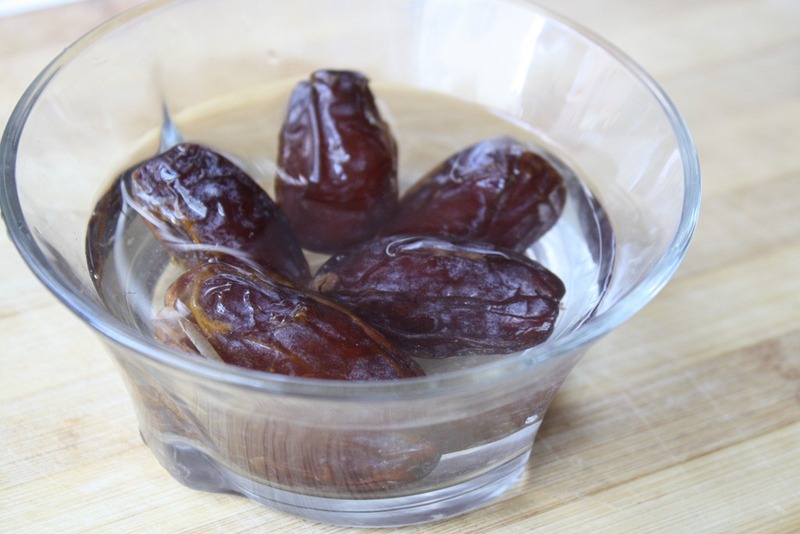 Dates are absolutely amazing…so good in just about everything and so amazing alone! Have a great day! Your smoothie pics are much prettier than ones I ever get – mine always turn out a little less than appetizing. 🙂 This sounds great, i love the dates in this smoothie. Delicious! How did you know to add dates to this? It was delicious. I added a few ice cubes because I wanted it colder, and my almond milk was vanilla flavored already but it came out WONDERFUL. I even shared with my roommate who doesn’t normally like Chai, and she raved about it as well.